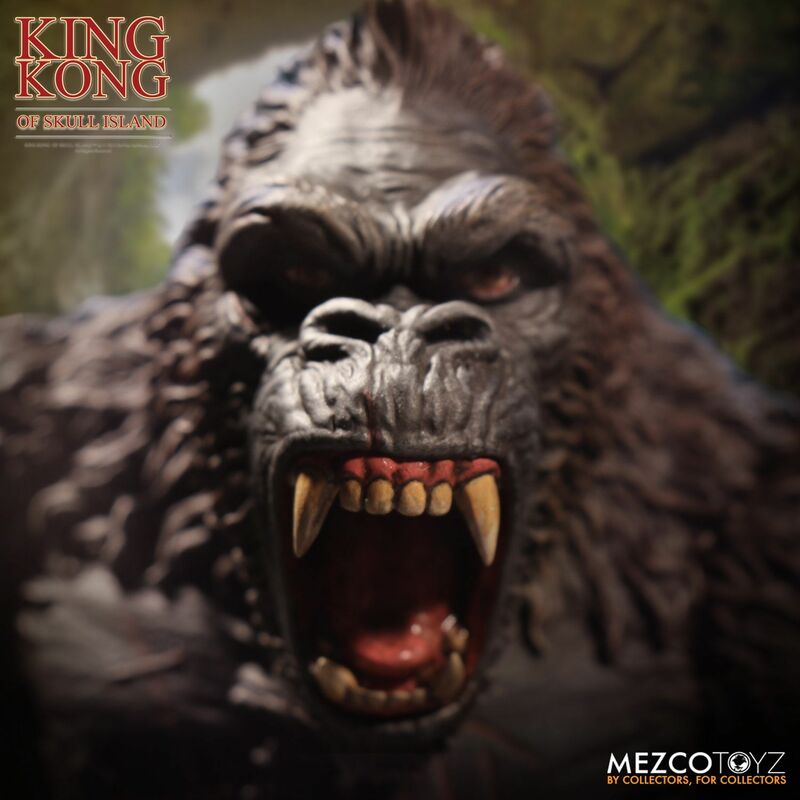 Mezco Toyz has opened up pre-orders for their King Kong of Skull Island Action Figure. the new figure stands about 7″ tall and features over 25 points of articulation. The figure includes interchangeable portraits, multiple interchangeable hands, removable shackles, and an Ann Darrow mini-figure. King Kong is priced at $40 with a release set for some time between November 2018 and January 2019. See details below and click the headline of the story for more photos. Wow I expected it to be way more expensive, that's not a bad price at all! Price point is fantastic. Too bad yet again Mezco's site isn't working. I've ordered quite a few figures from them, I randomly get these "issues with your address" when checking out every few months even tho my profile is saved and have used it many times. Guess I'll be ordering elsewhere, BBTS usually gets in their stock before Mezco ships out their direct orders anyways. Hope they do more figures like this at this price. I expected it to cost double at least. 40$ is a great price for what you get. 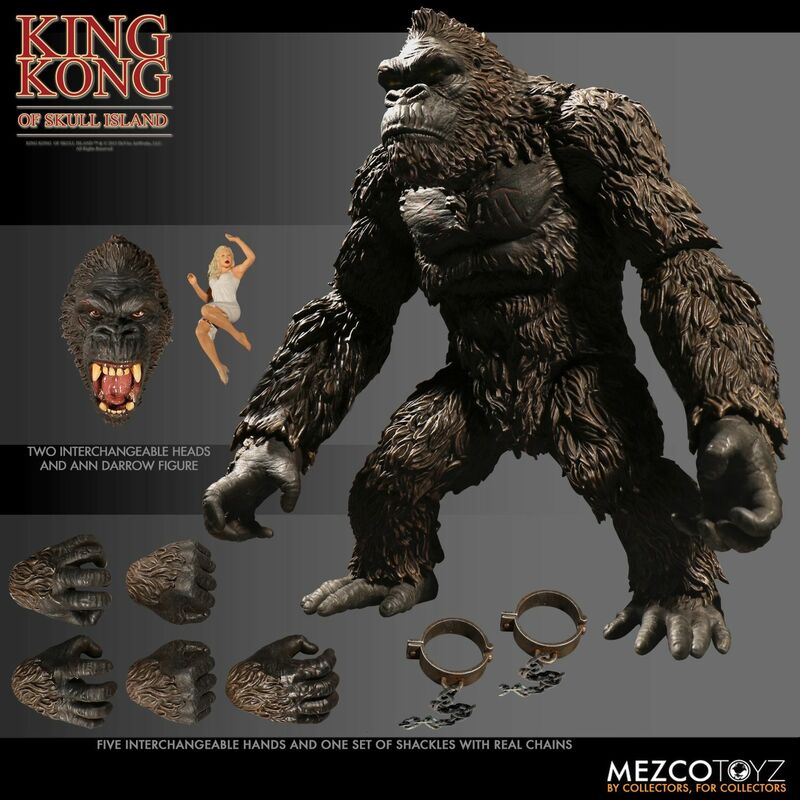 My only point of criticism would be that the headsculpt used for the giant version of this figure is the best one and I'm a bit bummed that this smaller scale Kong won't include it. Other than that? 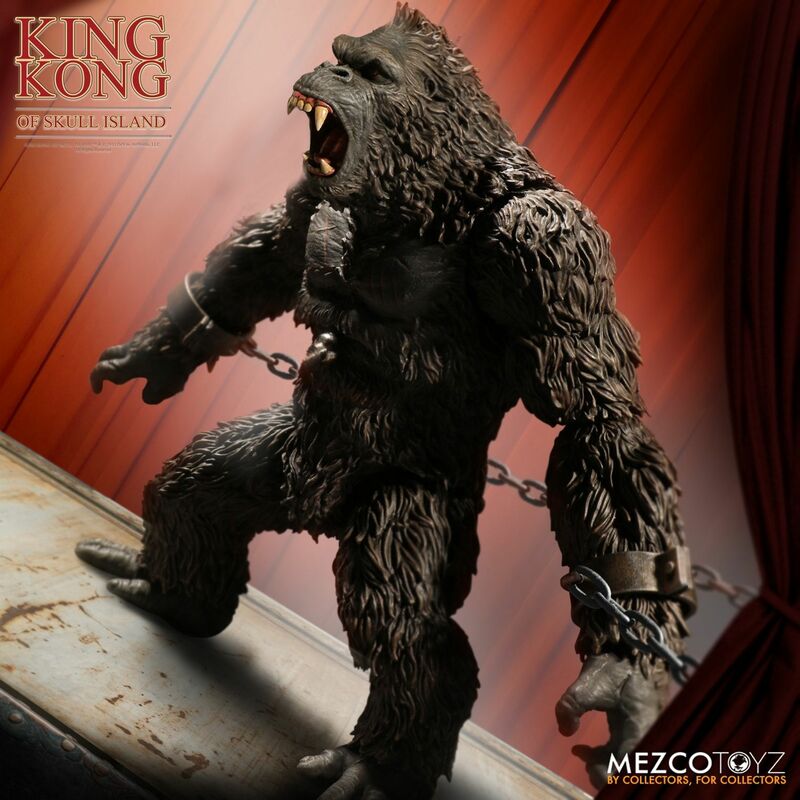 A great looking King Kong figure for a great price, I'll buy one. It's even cheaper at BBTS, $37 there. I'm not even in love with this design but for that price I'm in. I love Kong and have been waiting for some good stuff. I like kong but theres no way an oversized poop flinging primate is gonna beat Godzilla....no way. Thats why Godzilla is the KING of the mosters. Lol, kidding. I agree. No way Kong wins. I was always a huge fan of Godzilla as a kid (first monster movie to come on my black and white tv.). I was offended when I first saw the original Godzilla Vs. Kong. I was appalled at the thought of something beating the almighty Godzilla. As I have gotten older though and analyze the skill sets. Kong may be able to take him. He did almost get killed by lizards with only two legs. How does that happen? I like this though, great price. I feel like it somehow looks cheap. Like the hands or feet are light on detail or paint. Maybe some in hand pictures will display the quality better. Really though. After Popeye, I now have two orders in for Mezco items after never before owning any. I prefer the japanese godzilla vs kong....godzilla wong. The only reason kong beat Godzilla was cause that was the us version. I hope when they fight in the movie, if they make it, Godzilla wins no matter what country.....Godzilla is my all time favorite monster ever! Wow that looks fantastic. After all the One:12 I've been conditioned to think this would be $100. But their MK figures were only $20 and I loved them. Easy order. Love the direction they went with instead of the straight up big gorilla build. Not sure how I'll use him but there's gonna be a bunch of options. Eh... no. 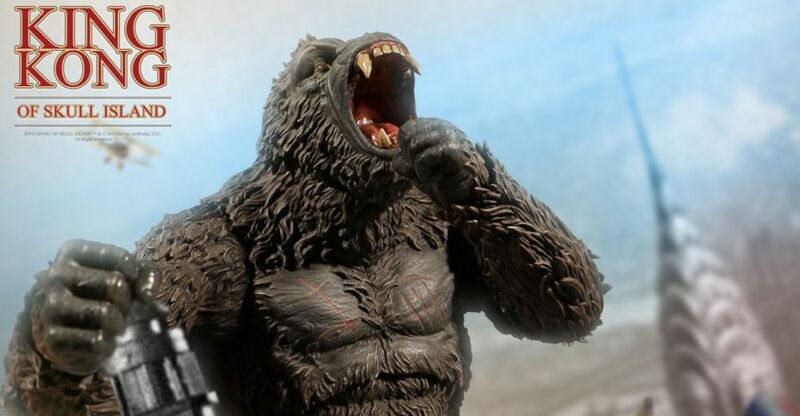 Kong also "wins" in the Japanese version, the rumor that there exist two cuts with King Kong or Godzilla winning intended for a Western and Asian audience respectively is an elaborate hoax. It's not true. The US version is a mess with the extensive re-cutting, but the ending is largely the same, minus some shots being shortened by a hair or replaced and the end with Carter talking to the audience. The key edges Godzilla almost always has against Kong in a proposed fight are size and powers. King Kong is traditionally around the 20' mark whereas Godzilla debuted at around 160'. Kong has no powers outside of that electric stuff he had in King Kong vs Godzilla whereas Godzilla ranges from just having his atomic breath to his Showa era grab-bag of powers. 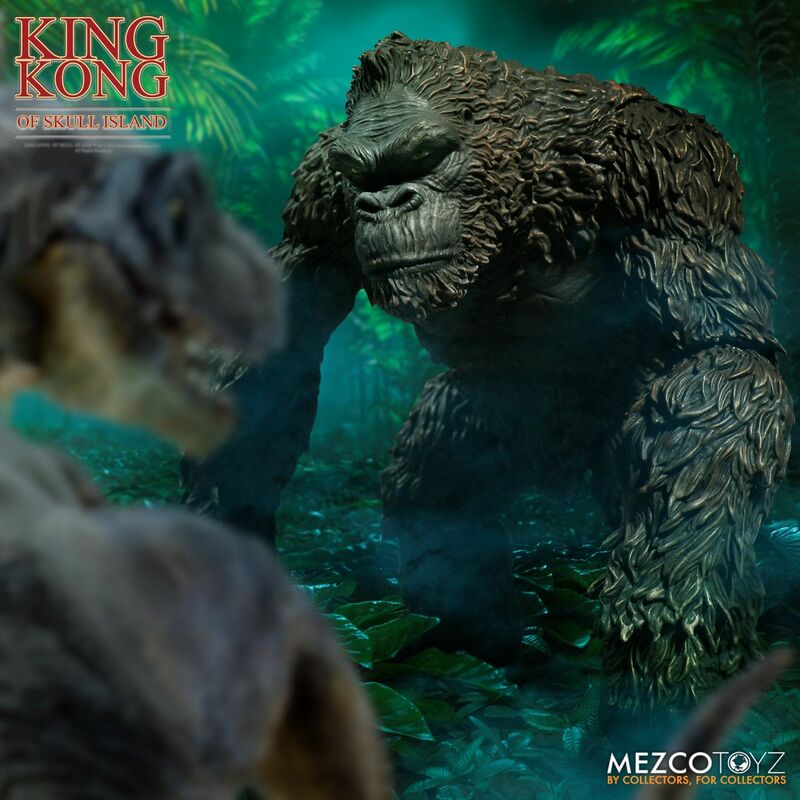 The filmmakers have admitted that for KKvsG they upped Kong's size and gave him the ability to defeat Godzilla because at the time Kong was still the more popular monster globally and it was easier to spin him as the film's hero. The more I look at this the more I like it. I can't wait to see what the articulation looks like. This is going in a display with Godzilla for sure. I think Kong's going to win. He's shown already as the sympathetic hero that saved the good people from the monsters in Skull Island. Godzilla didn't save humanity from the Monsters because he was a hero- it was just because they pissed him off. So when they amp up Kong's size and throw them at each other- the Hero is going to beat the Force of Nature. Maybe another Monster shows up to have them team-up so they can portray Godzilla as a hero and the fight ends on a draw. But without a mutual enemy the good guy is going to win and that's going to be Kong. I guess the future of the series will determine how that goes because we have yet to see what type of character Godzilla will play in the overall story line. I wasn't overly impressed with King Kong on Skull Island but the character had potential. I'm gonna give him a telepathy action feature and call him Grodd. BOUGHT! I'm with you all who will be converting this into a Grodd figure but really at this price point I wouldn't mind getting at least 2 in order to have Grodd and Monsieur Mallah. Besides those 2, I'm sure there are many other Gorilla characters that Kong can be repurposed into. So this goes with my One:12 Collection? It's only $40, so probably not. If they put the One:12 logo on the box, they'd be charging at least $120. That is pretty awesome looking. If he ends up fitting in with my MonsterArts I might have to pick him up. Anyways, I got this guy in today, and he's awesome. Taking him out of the packaging I noticed this ape is heavy. Really nice heft, he weighs approximately twice as much as your regular S.H.MonsterArts figure. You're gonna hear me compare him to those a lot since they are, or rather were, my usual go-to for monsters in that scale. So yeah, hefty plastic simian. Articulation is super tight on this guy, some might say uncomfortably so but you can work it out. One elbow joint on mine feels "loose" but only because it's not as tight as you would expect it to be and not as ridiculously strong as the rest. Still holds any pose fine, it�s not drooping at all. The overall poseability could be better; you can�t have him drum his fists on his chest but most other things work. I�m especially impressed by how well you can shift his head upwards to allow for a pose on all fours. The sculpting and paint on him are phenomenal, no issues whatsoever. Accessories are few but useful. The chains are nice looking but I see these breaking easily, the peg that holds the two halves of the cuffs together seems weak for how much force you need to apply to it. I didn�t knew how to open them, found a video of a reviewer who broke his while trying to open them and was super careful after. It works but I don�t recommend brute force. I don�t plan to use them too much since I pose him among MonsterArts so I want him to appear giant-sized, chains don�t work there. Same for the Ann Darrow mini figure. It�s really well made for such a tiny figurine and he holds her nicely, with the designated hand and without. The alternate head is ace. Both headsculpts are fantastic to begin with, I like the relaxed and calm one more than I imagined, but the angry roaring head is epic. Super detailed and flawlessly painted, including the inside of the mouth. Exchanging hands and heads is super easy, they pop out of socket easily if you apply force but don�t fall off if you articulate them. 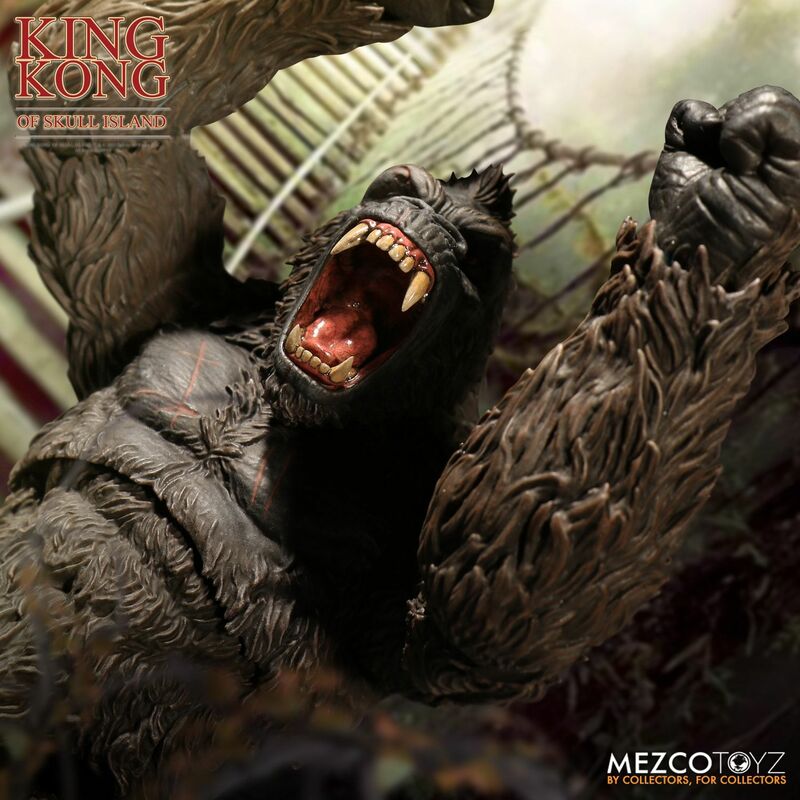 All in all � this King Kong toy blows every single S.H.MonsterArts figure I own out of the water. And that�s saying something since I�m a huge Tamashii Nations fanboy. But this? For 40 bucks you get something that feels like it has twice as much plastic, the sculpting is on par and the paint is much better. 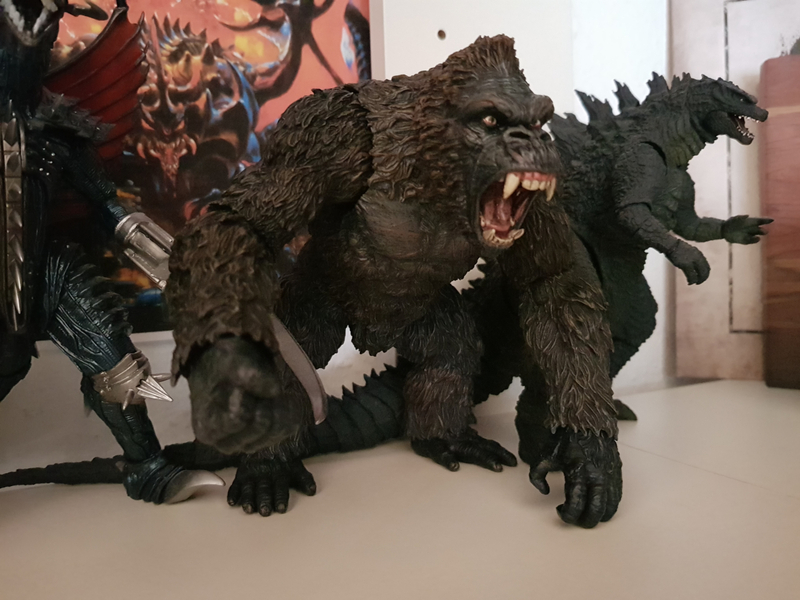 It�s no secret that the QC on MonsterArts, especially in the paint department, has been getting worse and worse over the years. Holding this Kong feels like getting the kind of quality we should get from Bandai. But you pay less than half the price. Articulation could use some work, that's my only nitpick, double jointed elbows and knees would be nice, but that�s about all. I love this guy, honestly surprised by how much I adore him, and I really hope Mezco produces something similar in the future. Please give us the dinosaurs of Skull Island with this kind of quality in mind, I will buy them all. 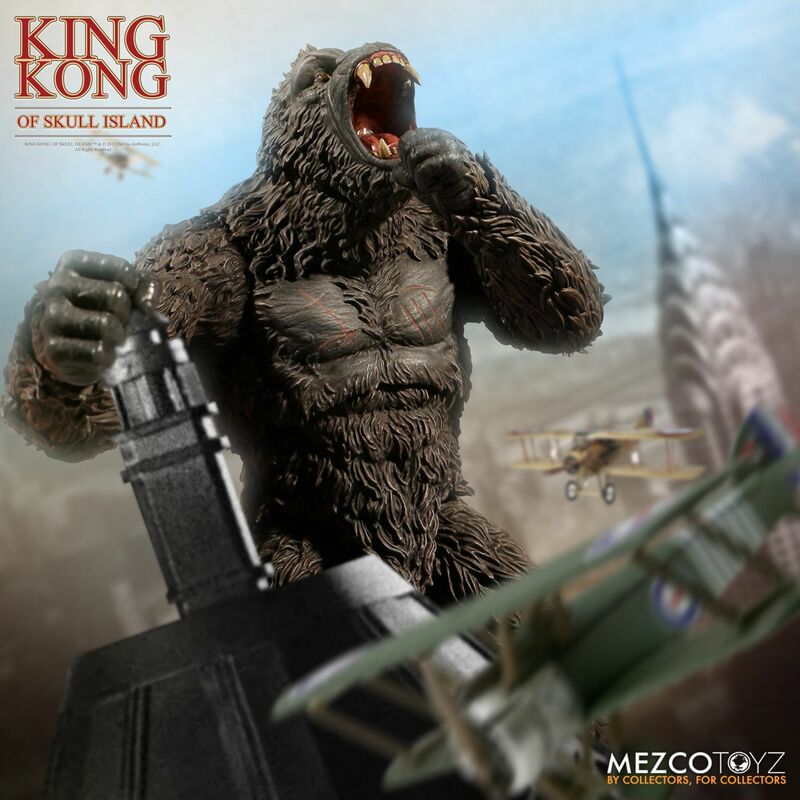 If you haven�t picked up this King Kong yet, do it. I absolutely recommend him. It�s a phenomenally made quality figure for what feels like an absolute steal. Oh, before I forget, yes, he scales with MonsterArts � kinda. He�s a bit bigger. But since it�s a unique sculpt without being attached to a particular source material that works for me. I feel like if Kong needs to have a chance beating up Godzilla and friends he could use a bit of an advantage in muscle and size. Sorry for the wall of text, but once in a while a really fantastic, well made figure comes around that could use a bit more advertising, just so that people don�t miss out on it.